The museum encourages schools to host a Professional Development Day for staff and administrators at its two locations. As part of that program, teachers participating in a Professional Development Day can also sign up for tours tailored to specific interests of the group. Teachers can choose between a “Sampler” and a “Focus” tour experience. On the “Sampler” tour, teachers choose four to five different tours to experience as a group. 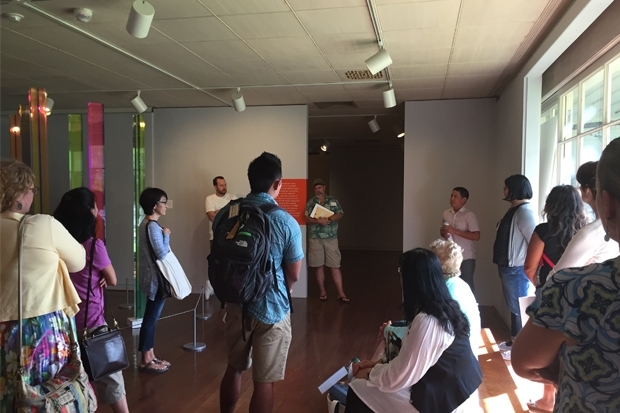 Museum education staff will work with your group to select portions of the tours that meet your objectives. The “Focus” tour has teachers select one tour to experience as a group before students come on tour. A hands-on art project and visit to our Lending Collection can also be arranged as part of your experience.